Presto Geosystems invented geocells in the late 1970’s and has been leading the geocellular technology ever since with important product advancements and design and construction accessories for higher performance and faster installation. Presto’s GEOWEB® system is the industry’s ‘most complete geocell system’ designed with fully-engineered components to withstand the most challenging site problems. 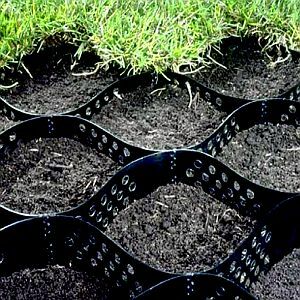 Made from high density polyethylene (HDPE) since conception, GEOWEB geocells offer the highest, longest-lasting performance of any geocell system in civil applications.